Children’s Dyslexia Centers, Inc. provides clinically proven dyslexia tutoring services within 13 states. They are the only organization offering two years of intensive one-on-one tutoring in the proven Orton-Gillingham approach, completely free of charge. The Children’s Dyslexia Centers are open to all children regardless of economic status, race, religion or Masonic affiliation. Currently, 50 Centers in 13 states provide tutoring to more than 1,200 children from kindergarten through high school. Instructors are also trained in the Orton-Gillingham approach completely free of charge. During our initial 15 plus years of operation we have trained over 750 individuals to become tutors at the initial certification level. It costs $5,000 per year to tutor one child. The Walk to Help Children with Dyslexia is part of the annual "Sponsor A Child" fundraising campaign aimed at finding a sponsor for every child with dyslexia enrolled in the Program. The Walk supports the Centers to fund the cost of tutoring each child while simultaneously raising community awareness of dyslexia. All monies raised will go directly to tutoring services. Is my child dyslexic? What might the symptoms be? When a child struggles with reading, writing, spelling, and sometimes even speaking, it is possible that the problem is due to dyslexia. The common signs listed below do not necessarily mean that a child displaying them has this learning disability. However, if a child continues to display difficulty over time in the areas listed below, testing for dyslexia should be considered. Who do I talk to first? How do we get a diagnosis? Talk to your child's school first. Read some good books about dyslexia. We have listed books and web sites that we recommend in additional resources on this web site. A formal evaluation by trained professionals must be conducted to diagnose dyslexia. Sometimes a child's school is able to conduct the necessary testing, and sometimes testing needs to be done by outside specialists (at a hospital or through a clinical psychologist). Organizations such as the International Dyslexia Association (IDA) can help locate a specialist in your area. 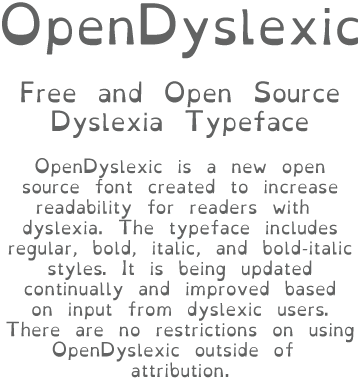 For additional resources contact Children’s Dyslexia Centers, Inc. If my child is dyslexic, how do I to enroll him or her in the Children's Learning Center program? Formal testing must be conducted before contacting the Children's Learning Center. Once this evaluation is completed, the parent should locate the nearest Learning Center, then call the Center Director, who will send an application to be completed and returned with supporting information. 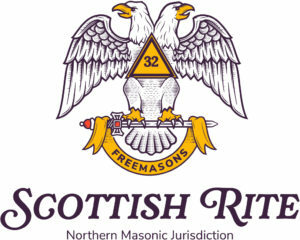 Following extensive study in partnership with Massachusetts General Hospital, Fairleigh Dickinson University and other leaders in the field more than a decade ago, the Scottish Rite Masons took a national lead in combating untreated dyslexia in children. Studies revealed that despite the existence of remarkably effective programs that treat the disorder, no one was addressing the issue and its cost to society. As a result, the task of building and staffing 50 Dyslexia Centers in 13 states was begun.